Does your congregation have stained glass that you believe has reached the end of its life? Well, it is important for you to know that when church stained glass gets around 80 years old, it usually it is time for restoration, thorough repairs but the damage is by no means irreparable. 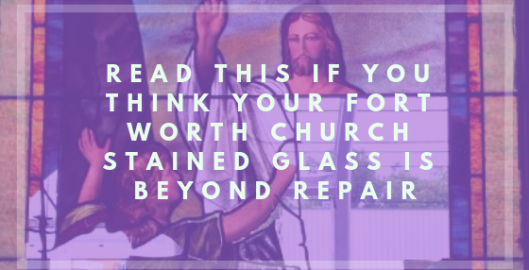 The reasons for your church’s stained glass being in such a state of disrepair vary but it is usually a mix of environmental factors, age, neglect and the way it was built at the time. But if you think you think it is beyond repair the truth is–it is probably not. Read on to find out why. Church stained glass, leading and framing are actually things that can be cleaned and brought back to their former luster. Sure, the lead may look heavily tarnished and the glass may not have bright coloring anymore but our deep cleaning will bring back those colors and get that lead looking shiny again. Plus, at Fort Worth Stained Glass, we offer on or off-site cleanings, depending on which other repairs are needed. However, one thing always rings true– the luster of your church’s stained glass will blow you away when we are done. When church parishioners see bowing wooden or steel frames on church stained glass windows they immediately think–the damage is irreparable. And for good reason–when the support structure of stained glass windows start to bend, sag and bow, the state of your stained glass is pretty bad. However, we regularly deal with stained glass in this state and know we can almost always fix it and when we are done–it an issue for another century or even two! Not only do we rebuild the frame and structure of your church’s stained glass windows but we also use modern lead additives to give it more strength too! Church stained glass that is chipped, cracked or missing may appear to be beyond repair on the surface. Once a glass panel falls out, people often incorrectly assume that the whole stained glass windows are done for. But this is actually not that big of a problem–, especially for our expert restoration team. In fact, some chips and cracks we can fix right in the window. However, for more seriously damaged windows further repairs are required in our studio. There, we can fix almost anything and also match the most obscure colored or textured glass pieces. If you love your Fort Worth church’s stained glass but fear its time has come, make sure to contact us before taking it out or destroying it. There is often life left in these types of church stained glass windows still! 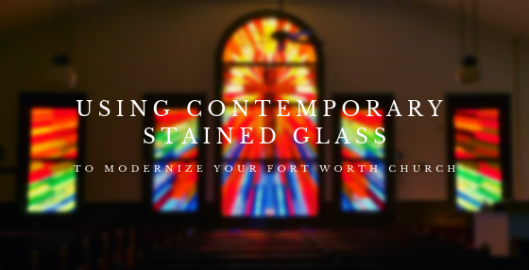 At Fort Worth Stained Glass we are happy to consult with you on how to bring it out! Contact us today for more info! Have you noticed some considerable damage to your Fort Worth church stained glass? You may think your stained glass is beyond repair if you see missing glass pieces, cracked glass, disintegrating lead, warped shaping, etc. While in some cases replacement is more cost-effective than restoration, there are some severe cases that are worth restoring. Finding the experienced stained glass contractor that can complete the proper analysis can help your church make the right decision. If your church committee is thinking about making some renovations to your church, one option that you should consider is adding contemporary stained glass windows. Contemporary stained glass windows provide Fort Worth churches with a way to create a modern, contemporary look while also continuing a timeless tradition. Many churches are known for their stained glass windows. In fact, stained glass has helped shape the identity of numerous churches and held their place in history. 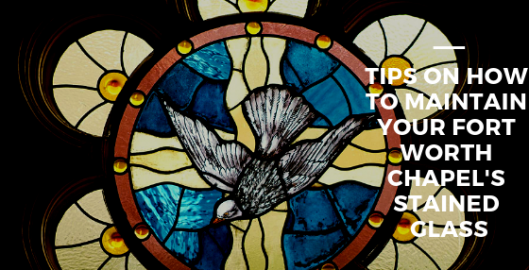 By adding stained glass to your church, you can create a lasting legacy. Stained glass plays such a crucial role both historically as well as in offering inspiration for clergy and congregation members. While stained glass restoration is required every 75 to 100 years, finding ways to maintain the condition of your priceless windows can definitely extend the time period between restorations while ensuring permanent damage never occurs. 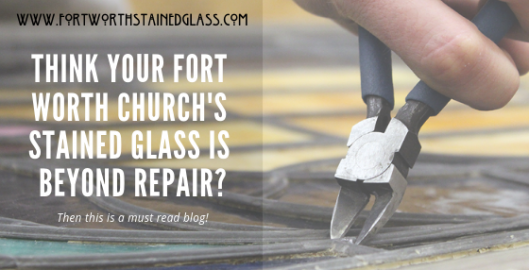 Chapels in Fort Worth are always looking for tips in maintenance– here are the most important pointers for keeping you stained glass in great condition. Wichita Falls is a place that’s in touch with history and tradition, so it’s only natural that our houses of worship would reflect this as well with their beautiful, intricate stained glass art. 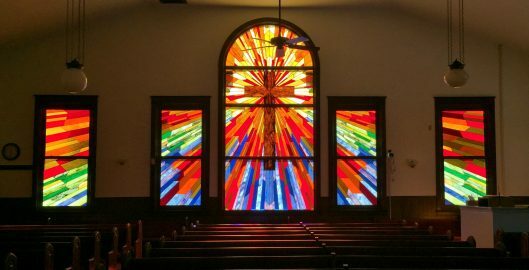 Wichita Falls churches can be revitalized with stained glass restoration, inspiring future congregations. However, before diving into restoration, it helps to know more about the process. 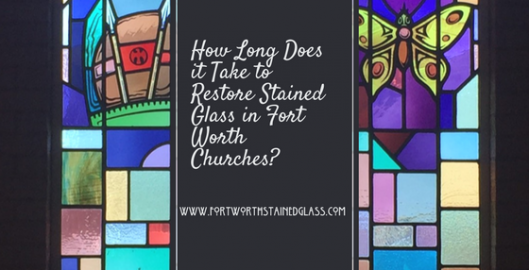 How Long Does it Take to Restore Stained Glass in Fort Worth Churches? As all the gorgeous, antique religious stained glass pieces begin to experience irreversible deterioration, it’s pertinent for Fort Worth churches to begin considering preservation. For proper preservation, restoration is necessary in order to prolong stained glass for another hundred years. Religious stained glass provides meaningful messages that are often important to their routine worship process. This lengthy process can return your stained glass to its original glory while preserving these treasures that are so meaningful to congregation members.